This fitting attaches to the top side of the center T3 turbo for oil feed line. 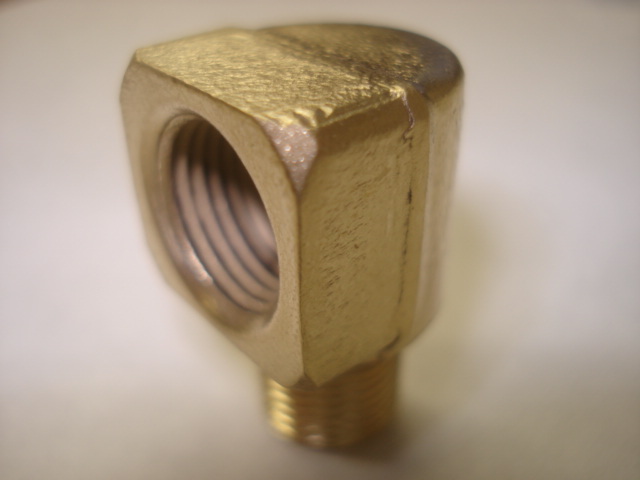 Brass 90 degree fitting with tapered NPT threads to seal when installed. Good used condition.